MFS Fit Babe Spotlight with Nikita Coleman: Let’s talk Nutrition ! The only issue is the abundance of information and conflicting information as well. So this requires sourcing journal material that has been peer-reviewed and gone through particular scientific scrutiny…and they usually aren’t much fun to read. The other disadvantage to this is that you often end up over complicating nutrition; if you look at the definition of diet, it means “What you eat”, not what is commonly thought, which is “restricted eating”. On the other hand, nutrition is concerned with the micro and macro nutrients of a given food and what is essential for life. Don’t get me wrong, knowledge is important, it’s the difference in eating 60g of total fats vs. 100g of fat in a day (which is the difference of nearly 400 calories) and having it as a pre-workout and not after. However, there is no need to over complicate eating, and label foods as good or bad or even follow a diet trend like Paleo, clean eating or IIFYM (if it fits your macros). Clean eating taught me how base my main calorie sources from whole foods and to nourish my body, but it also taught me about food restriction and that it isn’t healthy. IIFYM taught me how to gauge portion sizes and find balance when trying to recover from food restriction mentality, and it also taught me the importance of eating the right amount of protein for my muscle mass (about 1g per lb of lean bodyweight) and to be careful with calorie dense macros such as fats. But it doesn’t teach you to eat for your hormones, and I found that to be a big problem when trying to recover from stress and anxiety induced amenorrhea. Now I’m an eater… I eat for performance and optimal hormone levels. Which in the most part means eating like a clean eater but I understand moderation when I CHOOSE to eat food that are considered processed or not healthy; I don’t limit anything, and I eat what I crave, with some very simple guidelines. Start your day with a large complete meal (with a good ratio of protein, carbs and fats) then, generally every other meal after that should have a source of protein and a fruit and/or vegetable. Workout nutrition is simple, I try to focus on healthy carb sources around my workout, a pre-workout is usually a fast acting carbohydrate and a fat and post workout is protein and complex carbohydrate (Fast and Complex relates to their glycemic Index and the speed in which food is metabolized into a sugar and promotes an insulin response). That’s it, those are my nutrition guidelines. Always try to eat different sources of all those macros, to benefit from the different vitamins, minerals and fiber those foods may have to offer. A typical day for me usually starts with pancakes haha…no jokes. Or French toasts! Then I’ll have lunch which is usually a lean protein source like chicken, with lots of greens and veggies with rice or a wrap or some sweet potatoes. In the afternoon I’ll have a “super woman” protein smoothie, with maca powder, chia seeds, spinach, hemp seeds, banana and berries, cottage cheese or yogurt and spinach mixed with almond milk. Pre-workouts – rice cakes with banana and almond/peanut butter, sometimes I’ll have pop tarts, toast or any homemade cookies or cakes I have made – Just something with fast acting carbs and some fats. And if I’m still feeling “hungry” (I used to never not have dessert out of habit, now I have it 2 to three times a week) and I usually have some Greek yogurt with a nut butter or dark chocolate and protein. In my opinion the impact of guilt on the body is far more destructive than 1 piece of cake could ever be. So never feel guilty about enjoying time with friends, and eating something “bad” or labeling it a “cheat meal” (the word “cheat” only reinforces the guilt), just enjoy it, and move on. Providing you nourish your body well the rest of the day…a piece of cake won’t do jack! Obviously, you can’t give in to every craving all the time, moderation is important, so picking times when you will take the time to enjoy it and knowing the difference between an emotional craving and physical cravings will help. The other option, especially with hormonal cravings, is to replace a food your craving with something you have made yourself or a slightly more nutrient dense version; because essentially, what you’re craving is a vitamin or mineral within that food…not all the sugar, salt and fat that comes with it. I often make my own muffins or cookies (with CHOCOLATE) in occasions like that as opposed to restricting myself from a food that, in all honesty, won’t make me feel that optimal after I eat it anyway, nor kill the craving a lot of times. My favorite food is… pancakes… I often make chocolate ones because it’s like hitting those cravings on the head first thing in the morning. It feels like your having something naughty when really you’re not! These pancakes have a whooping 40g of protein and 20g of FIBER! That’s more than half of your daily requirements of fiber. Not to mention good fats from the peanut butter and antioxidants from the cacao and raspberries. Truly a super breakfast, lunch or dinner! Blend Protein, egg, oats, husk, cauliflower, cacao and cottage cheese till smooth and no cauliflower lumps – may need to add some water depending on your protein to get the right consistency. Pour in most the choc chips and stir through. Spray your skillet with some coconut oil and evenly distribute your mixture into the size of pancake you want. Flip when bubbles start to form and cook for another minute or so. Repeat for entire mixture. Plate up in a stack or platter then drizzle peanut spread, sprinkle remaining choc chips and raspberries! There you have it, my perspective on a very controversial and the often over complicated topic of diet and nutrition! Honor your hunger. Eat for performance and to feel optimal. Eat to promote hormonal health; and don’t miss out on the special occasion and end up feeling deprived. There is more to life then “dieting”, get in touch with your cravings and listen to your body to understand what your body is truly telling you it needs! Stay tuned for next week’s Workout & Training post by Nikki! Healthy Tuna Patties: Quick & Easy Recipe ! I’m a big fan of these super quick and easy-to-prepare tuna patties! Although I usually opt for fresh and wild-caught fishes, when I’m in a hurry (or just plain old too lazy to go to the market), this is definitely my go-to recipe. These healthy tuna patties are very tasty, absolutely satisfying and go along perfectly with a side salad! Serve with a large salad or side dish of your choice! 44 “On the Go” Clean Bites from Around the Blogosphere ! The mellow summer days are long gone and most of us are buckled up in a tight & busy schedule! 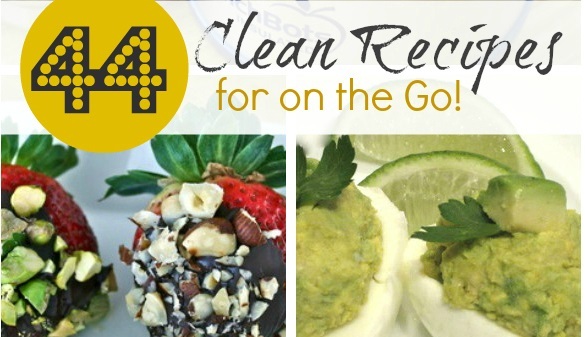 It can become quite a challenge to stick to your healthy diet when time is limited, but these 44 “On the Go” Clean recipes and ideas will get you back in healthy-eating-mode in no time! We’ve gathered a list of some absolutely yummy and healthy recipes, from around the blogosphere, that you can easily include in your everyday life if you take a little time to organize and prepare your meal plan in advance! Enjoy! Single-serving Peanut Butter Cookie Recipe ! I’ve come by a super-duper solution for the “cookie monster syndrome“! If you’re anything like me, you loooove cookies and you have a hard time sticking to just 1 single serving. My hands-on solution was to come up with a healthified version of my favorite cookies, like my Choco-cherry Oatmeal cookies for example. This is a great alternative but it doesn’t stop me from eating the whole batch in a single day! Now making a single serving peanut butter cookie certainly takes that problem into account! Let me know how these babies turn out for you and don’t forget to share them on your Instagram with the #fitgirlbites tag!! Healthy Choco-Cherry Oatmeal Cookie Recipe ! I seriously have a new obsession, lately I’ve been hanging out at my favorite coffee shop to get some work done first thing in the morning… that’s actually when I’m most productive and when I get things done. Since I tend to stay there for a few hours, sipping on some yummy latte, I tend to get a little hungry towards the end… however, there are absolutely no healthy snack options that I can get myself. So I decided to try out some healthy oatmeal cookie recipes for on the go, I’m naturally a huge fan of oatmeal and these babies are so satisfying and nutritious! You can play around with the ingredients, choosing your own combo and making your own version of it. I’ve tried adding raisins, cranberries, apples, dark chocolate and different nut combos myself, they are all fantastic, yet this one is my favorites for now. Skinny Avocado & Tuna Bites ! This yummy recipe combines some of my favorite super-foods into a delicious and quick fit snack! 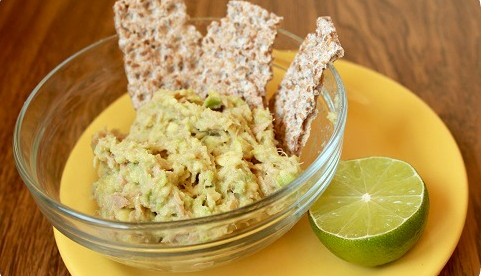 Avocados contain healthy fats and fiber that will keep you full and satisfied while tuna is a great source of protein and is low in calories as well, mix these ingredients together with a squeeze of lime for some extra freshness and you’ll get a truly satisfying healthy spread that you top on to crackers, wraps or even on cucumber slices for a lighter variation! Use half of this mix for a delicious and nutritious snack! Savory Stuffed Egg Salad Recipe ! With the abundance of fresh produce you can get your hands on during the summer season, it’s fun to come up with new tasty salad recipes! I absolutely love eggs, and stuffing them with some of my favorite fillings makes them even more yummy! An Ultra Premium Meal Replacement Bar! Offered in both Chocolate Caramel Pretzel & Peanut Butter Chocolate flavor, this super tasty & convenient meal replacement bar contains 30g. of protein and is also aspartame-free! Grab your delicious & guilt-free Syntha Decadence Bars HERE! 5 Things Tuesday: Amy’s Top 5 Health Boosting Breakfast Recipes! Happy Tuesday people and welcome to yet another delicious 5TT! Today, we have a special guest straight from The Holistic Ingredient blog. I’m honored to share Amy’s favorite healthy and absolutely finger-licking-good breakfast recipes! Let the fun begin!! And for more unique & healthy recipes like these, make sure you check out Amy’s new e-book A Nourishing Kitchen! This is without question one of my all time favorite breakfasts. Not only is it super easy to make, it is a fantastic option if you are in search of a good quality protein meal that will sustain you through until lunch. Double or triple the recipe and freeze in portion sizes. These can be whipped out of the freezer at a moment’s notice and popped into a saucepan with a little extra liquid to defrost. Place quinoa and milk in a small saucepan and bring to the boil with the lid on. Once boiling, turn the heat down to a gentle simmer and add the cinnamon and sweetener. Simmer for 12-14 minutes or until the liquid is absorbed and the germ turns opaque. I take it off the stove whilst it still has a slight chew and let it sit in the saucepan, lid on for a couple of minutes. Fluff up the quinoa with a fork and serve. I believe it’s at it’s best with a big dollop of Greek or coconut yoghurt and some delectable crunchy extras. Breakfast, lunch, dinner or as a snack, eggs, for me a compulsory pantry item. I like to refer to them as ‘magic bullets’ for their sheer nutrient value. Anyway, let’s get ‘cracking’ and kick off with what has undoubtedly become my signature breakfast dish. Pop a small omelette pan on the stove on medium heat. Beat or whisk the eggs until fluffy (if time permits use a beater – the fluffier they are the fluffier the omelette). Beat in remaining ingredients, excluding the coconut oil. Add the coconut oil to the warm pan. Once hot, pour in the mixture. As with any omelette the trick is to wait for the sides to go firm then slowly pull in the mixture to the centre with a spatula, allowing the remaining runny mixture to run back to the sides. Keep doing this around the pan until there is little runny egg mixture left – this will take a couple of minutes. Flip the omelette over and give the other side one to two minutes. Turn the cooked omelette out onto a plate and top with whatever deliciousness your heart desires. My favourite is a heaped dessertspoon of full fat Greek yoghurt, a sprinkling of LSA or ground flaxseed and some berries. Roll it up and savour the heavenly goodness. This is a seriously yummy, seemingly decadent, breakfast mousse that is both sustaining AND totally good for you. Shed that guilt, tuck in and savour every mouthful – this little baby is full of goodness (and a whole heap of joy). Leave half the walnuts and cacao nibs aside. Throw the rest of your ingredients into the blender and blend until really smooth. Top with the cacao nibs and remaining walnuts. I would recommend making this the night before or at least half an hour before you eat it to allow the chia seeds to soften. Super duper easy, these take about 20 seconds in a blender and 6 minutes in a pan. So you’re looking at 10 minutes total for this tasty breakfast treat. This recipe is for one. You know what to do for 2, or 4, or so on..
Plop 3 hot cakes into your pan and let sit for about 2-3 minutes or until golden. Flip over and leave for another couple of minutes. Top with a dollop of Greek five:am yoghurt (or yogurt of your choice). This is also topped with dehydrated orange chips – dehydrated for 15 hours or until crunchy. This beautifully thick, Green Smoothie has become my ‘go to’ if I’m flagging, running late, short on my green intake, can’t be bothered to chop or all of the former. It makes for a super healthy breakfast or lunch (and even the occasional dinner). If you can, leave it for 15-20 minutes prior to eating to allow the chia seeds to soften. Throw all ingredients in the blender and blend until really smooth and creamy. Pour (or scoop!) into a glass or cup and sprinkle with whatever your heart desires. As you have no doubt already gathered you’ll need to make a trip to your cutlery drawer for a ‘need a spoon consistency’ spoon. I can’t wait to get my hands dirty while preparing these babies!! I know what you’re thinking… cabbage isn’t quite the most appetizing vegetable you can come by but hear me out for a minute. I’ve discovered a super combo that turns a somewhat boring and not so inspiring produce into an incredibly finger-licking good side-dish! Not only is this 2-ingredient combo super cheap to prepare, it is also nutrient-packed and holds many disease-fighting properties! Studies have shown that cabbage helps prevent cancer, reduces cholesterol (the bad kind), helps with inflammation and heals ulcers (just to name a few). It also contains tons of Vitamin C & K (vitamin K helps the body fight against bacteria, sickness & disease) and is pretty high in amino acids, fiber & antioxidants. No wonder this crunchy fellow is on the top chart of the super-food list! On top of it all, eating this cruciferous vegetable in its raw form will allow you to take full advantage of its health benefits. Cabbage is also low in carbohydrates and calories and can be a healthy addition to stir-fries too! Ready to get fueled with some mighty cabbage superpowers? Serve with your favorite meal and enjoy! Check out my Instagram account for more yummy & healthy meal ideas! How to Prepare and Cook Smoked Fish ! Nothing tastes more delicious than smoked fish as an accompaniment to a salad, as the centrepiece of a main meal, or even as part of a platter of tapas or hors d’oeuvres. Smoking fish is much easier than smoking meat, and with a little time, patience and a measure of creativity, you’ll be more than pleased with the delicious results. There are two ways to smoke fish; cold smoking or hot smoking. Cold smoking uses specialist methods and is quite time consuming, but produces the types of fish you can buy in packets or very thin slices, such as ‘smoked salmon’. Hot smoked fish is the method most people use at home, and what we’ll describe today. Firstly, decide what type of fish you will use. Salmon of course is perfect, but you can use bluefish, sturgeon, mackerel, trout, or experiment with whatever type you like – there are lots of recipes out there. Step 2. Curing the fish. The curing process is necessary to draw moisture from the fish. Place the brine mixture in a non-metallic dish and marinate the fish for a minimum of two hours, or even up to a couple of days, depending on the thickness of the fish. The longer you leave the fish in the brine, the saltier it will become, and the longer the fish will be preserved. Step 3. This step is vital to smoking your fish and will ensure that the smoke has something to hold on to by forming a type of coating on the surface, and properly infusing the fish with flavour. Simply place the brined fish on a cake rack for around two hours in a cool place with air circulation. Step 4. Smoking the fish. If you don’t have a traditional smoker, you can use any deep tin baking tray or box, although using a barbecue with a lid is just as effective. Let’s say you’re using the barbie, as most people have one. Place woodchips or sawdust in a metal container above the burners and under the grill. You can use any hardwood , hickory is the most popular, or use apple, oak or any type of fruit or nut wood chips. (You can buy these from any barbecue retailer, or make them yourself). Adjust your temperature to around 140 degrees before greasing the grills and placing the fish skin-side down on the grills. The amount of time spent in the smoker will vary with the thickness of the fish, but when it starts to flake, you’ll know it’s done. Once smoked, your fish will keep for up to ten days in the fridge. But of course it’ll be so delicious, it won’t last that long! 5 Things Tuesday: My Favorite Fit Girl Bites ! Happy Tuesday Fit folks, it’s time for another 5TT & today I’m sharing some of my personal favorite healthy & energy boosting go to snacks! Hope you enjoy and don’t forget to share your favorite snacks in the comment section below! Bon Appétit! Try this energy boosting spicy green drink for some mighty hulk powers! Click HERE for the recipe. This recipe is no longer available but make sure you check out Bree’s “Green Smoothie” recipe database HERE. Go for at least 70% cacao in your chocolate. 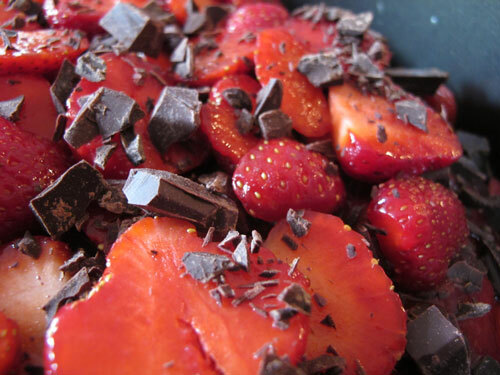 For an extra special fit treat, melt your chocolate and dip your strawberries inside! Craving something salty & creamy? This combo might be just what you’re looking for! Your turn; what are your favorite go to healthy snacks? Leave your answer in the comment below! The Betty Rocker Body Fuel System: A 30-day Eating Guide to Your Best Body Ever! Turn Your Cheat Food into Fit Food: French Fries & Mayo vs. Zucchini Fries & Hummus ! Think that eating clean needs to feel depriving & boring? Let me prove you wrong! Today I’ve put together a delicious meal with only a few basic and whole food ingredients! If you’re a big fan of fries & mayo, you will absolutely LOVE this combo & if you’re already a fit food junkie, you won’t be disappointed! Zucchini fries are crusty on the outside & nice and soft in the inside, they are absolutely addictive, especially in combination with a healthy hummus spread, nomnomnom! How to prepare zucchini fries: Simple! Serve with hummus or white bean dip! Yum! Click HERE for Hummus recipe. Click HERE for White Bean Dip recipe. White Bean Dip Recipe ! I’m a huge fan of hummus and I can’t believe that I haven’t tried making white bean dip in the past; it’s absolutely delicious, packed with protein, good carbs & healthy fats , plus, it only takes a few minutes to prepare! You can serve this healthy dip with crackers, use it as a spread in your sandwiches or simply serve as a dip with veggies or breads. Mix all of the ingredients in your food processor until desired consistency, Voilà! Paleo Power Lunch: Recipes to Power your Day! Paleo Power Lunch is not just another recipe book. With its easy to prepare, delicious recipes, and straightforward shopping, preparation and lunchbox packing tips, Paleo Power Lunch helps busy individuals, like yourself, stay true to your dietary choices, while supporting your health & fitness goals, your need for filling and nutritious meals, and your desire to spend time out in the world rather than in the kitchen. Click HERE to grab your copy and get instant access! 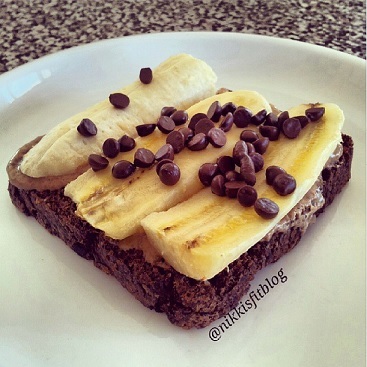 5 Things Tuesday: Delicious & Guilt-Free Breakfast Recipes ! My favorite meal of the day is definitely breakfast! This is the time where I treat myself with “dessert-like” foods that satisfy my sweet tooth and give my body the necessary fuel to kick-start my day. This morning, I had Zuzka’s Cinnamon French toasts (see recipe below), which were absolutely yummy! Why feel deprived when you can prepare delicious & guilt-free meals that both satisfy your palate and help you stay fit, fueled and happy? I’m always on the search for new fit breakfast ideas & this is what I’ll be trying out in the upcoming days! What’s your favorite healthy breakfast? 5 Things Tuesday: Healthy Lunch Box Ideas ! Welcome to another 5TT! Today, I’m sharing some beautiful, healthy and yummy lunch box ideas from around the web. Preparing your own meals for on the go can be quite fun and rewarding, it also allows you to be in complete control of what you put into your body! Save some extra bucks & get in shape with these finger-licking good lunch box recipes! Click on each image or link to grab the recipe! Paleo Power Lunch is not just another recipe book. With it’s easy to prepare, delicious recipes, and straightforward shopping, preparation and lunchbox packing tips, Paleo Power Lunch helps busy individuals, like yourself, stay true to your dietary choices, while supporting your health & fitness goals, your need for filling and nutritious meals, and your desire to spend time out in the world rather than in the kitchen. Click HERE to grab your copy and get instant access!